This past winter brought a small flock of House Sparrows to my yard. This spring brought a little group of Eastern Bluebirds. House Sparrows compete with bluebirds for nest cavities and will kill bluebirds (eggs, nestlings and adults) in the nest and then build their own nest on top of them. So these non-native sparrows need to go. You can find all my attempts to get these sparrows to move on in my “Deterring House Sparrows” post. But read on if you’d like more information on one my experiments: a DYI anti-sparrow bird feeder halo inspired by the “Magic Halo” design that folks at the University of Nebraska devised. If you poke around online, you’ll find lots of people have made their own versions of this device. This is how I made mine. 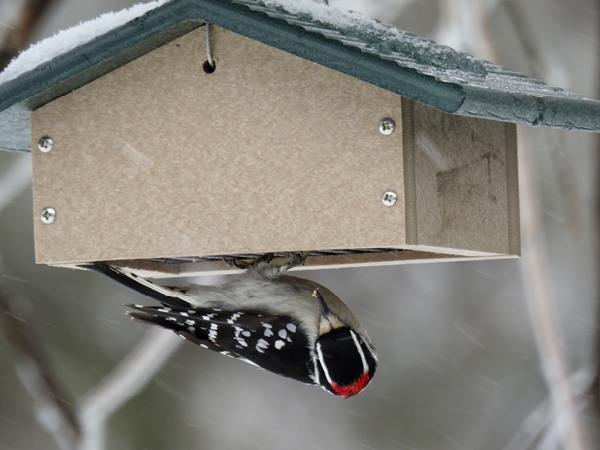 My approach to offering suet to birds in my yard has evolved over the past several years. Through a lot of trial and error with feeder type and placement, I’ve learned a lot along the way. 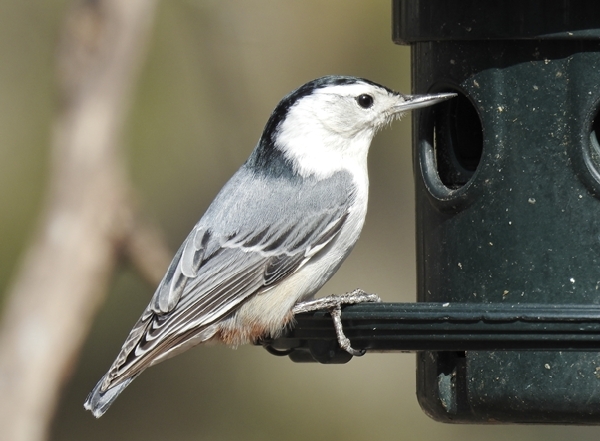 My current suet set-up has been working wonderfully for season after season and now I don’t have to stress over it at all. It just works.